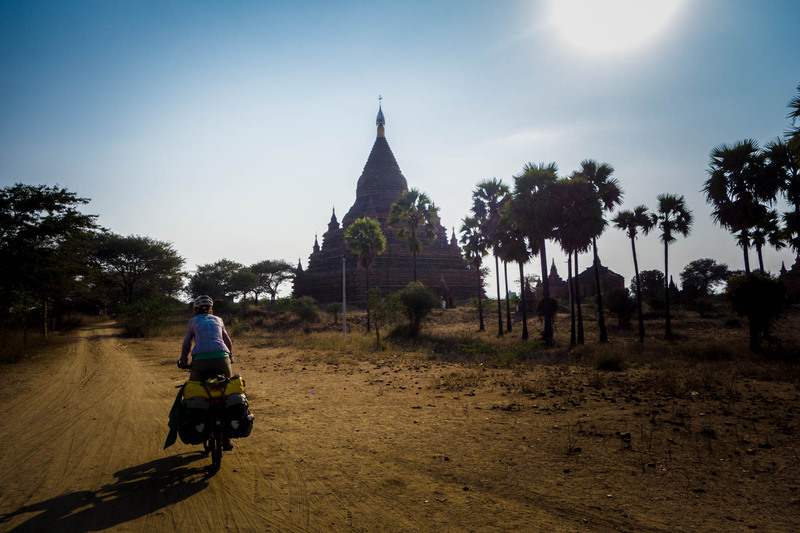 Bicycle touring in Myanmar is something we had looked forward to. When we were planning our journey it was not yet possible to cross overland into Myanmar from Thailand and out again to India. This change has made it possible for us to reach Nepal overland! It is still a country that is mysterious for many people although tourism is picking up and regulations are slowly getting easier. The country is high on the list for many cycle tourers. 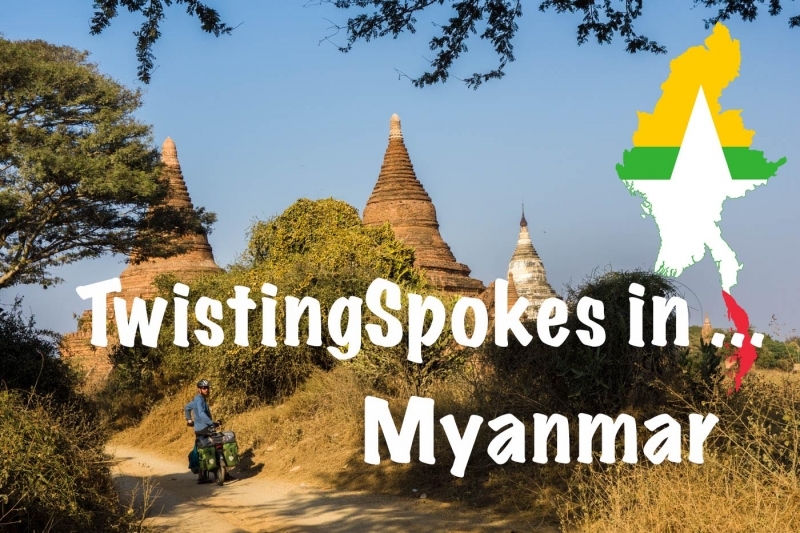 We were interested to see with our own eyes how the people would be and how we would enjoy cycle touring in Myanmar. We entered the country on the 24th of January from Mae Sot in Thailand and left the country on the 20th of February to India. We have cycled 1813 km and ascended 10.166 meters. History, culture and the people are the drawing factors of Myanmar. The country is dotted with many golden pagoda’s and there are temples and monasteries almost on every corner. Monks walk the streets bare foot and the people are fast with greeting us a friendly ‘Mengelaba’. The country is changing at rapid speed because of the more open society and influx of travellers. Politics is a sensitive subject although we frequently see people wearing t-shirts and posters with Aung San Suu Kyi. In the countryside the fields are cultivated and we see many ox drawn carts loaded with sugarcane and cassava. Toddy trees grow and small pots hang down from them to collect the Toddy juice, an alcoholic beverage. In towns men enjoy themselves watching football and drinking tea at the teahouse while eating samosa’s. Women are at the market selling their goods or at home weaving. The traditional dress is everywhere. Women and men wear the longyi and it is the country where we have seen most men wearing a rap-around skirt. Many labour is done by hand and in towns we see men pushing carts, loading and unloading ships and working on the roads with hot tar. Yangon was a different experience for the senses. All of a sudden roads were even more hectic, colonial heritage was more apparent and we were introduced to India. We saw Indian restaurants and vendors intermingling with the local and enjoyed the variety of food. The colonial heritage left by the ‘Britishers’ was very interesting and it was nice to do a free tour to learn more about the city and its history. One of our favourite parts of the country was a section on the westbank of the Ayarwaddy river. Here we passed through a few small towns where the feeling was different, the food was interesting, the small markets were nice, there were small gold smiths, and a mix of religions. It was just a nice few days cycling through these towns. Of course we had to visit Bagan, an area of Myanmar dating back to the 9th century. During the kingdom’s height between the 11th and 13th centuries, over 10,000 Buddhist temples, pagodas and monasteries were constructed in the plains, of which the remains of over 2200 temples and pagodas still survive to the present day. We enjoyed seeing the sun rise and set over the temples and cycling through the sandy paths to discover the next temple. We felt a bit like pioneers because it is not very hard to escape the tourist crowd. Just watch out for the prickly bushes when you go there because we both ended up with flat tires! The country is mysterious, interesting and special and gaining popularity fast. At the same time we felt the country not that suitable for bicycle touring for us. Maybe our expectations were different from reality. Accommodation is expensive (although getting cheaper), there are still frequent control by police without uniform and camping is difficult. The country is not super scenic to cycle and roads are very dusty. 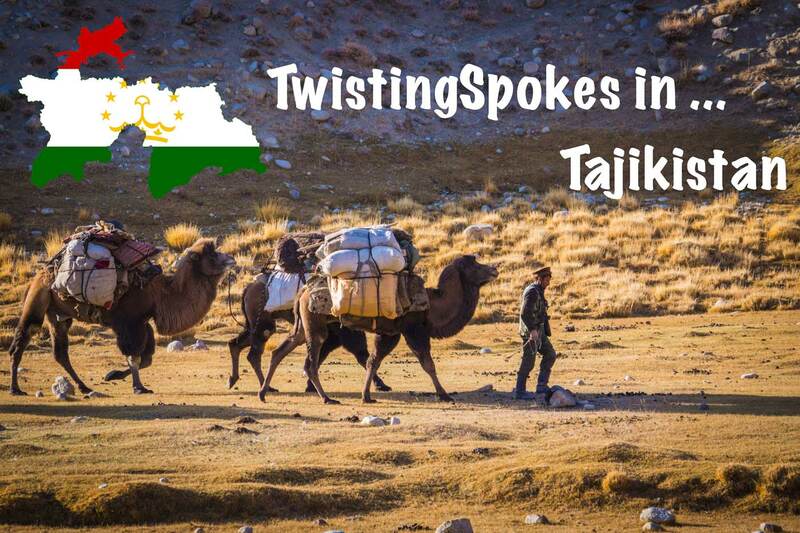 At the same time we have the feeling that the difference between backpacking and cycle touring in this country is enormous. Which makes the option of cycle touring stand out positively. We say this because the majority of the touristy places have been open longer for foreigners and it is only recently that the countryside and smaller towns are open for foreigners. On a bicycle we come through the countryside and the towns where not many foreigners have been and it provides us a unique insight into the country and the culture. Actually it is mainly after leaving the country and reflecting on our time there that we feel this so strongly, because at the moment the dust biting did influence our motivation a bit. Because Myanmar is a bit of a bottleneck where many different cycle roads come together and popularity to cycle this country is rising it is very possible to meet other cyclists. We have met approximately 20 other cyclists while in the country on long and on short trips, flying in and out or cycling from border to border. The border crossing from Thailand to Myanmar was very easy. We crossed at the Mae Sot Myawaddy border without any problems and meeting 8 other cyclists the same morning. We cycled from Myawaddy to Kawkreik following the newly built highway (less climbing!). We continued to Hpa-An, Thaton and Bago (without visiting the Golden Rock). From Bago we took a side road into Yangon but it was still quite busy. there is also a quieter road closer to the coast. From Yangon we cycled west towards Nyaung Don on a very busy and unpleasant road. From Here we went up to Hinthada and Myanaung (both recommended). We crossed over a very hilly section to traverse the river and visit Pyay. From here we pushed north to Bagan and we camped twice on this section. At the moment there are various options from Bagan to Kalaymyo. The direct road from Monywa to Kalaymyo is under very heavy construction for 100+km. It is possible to take a boat from Monywa but in low season it might get stuck and the trip time is unpredictable. There is a road via Pale and Gangaw (which probably is the most pleasant). We chose for another option via Kyauk Thu, Hit Lin, Gangaw which was very dusty, very hilly (hard work) and up and down but also quite scenic. From Kalaymyo (very expensive to stay here!) we blasted to Tamu in one day on a nice road. 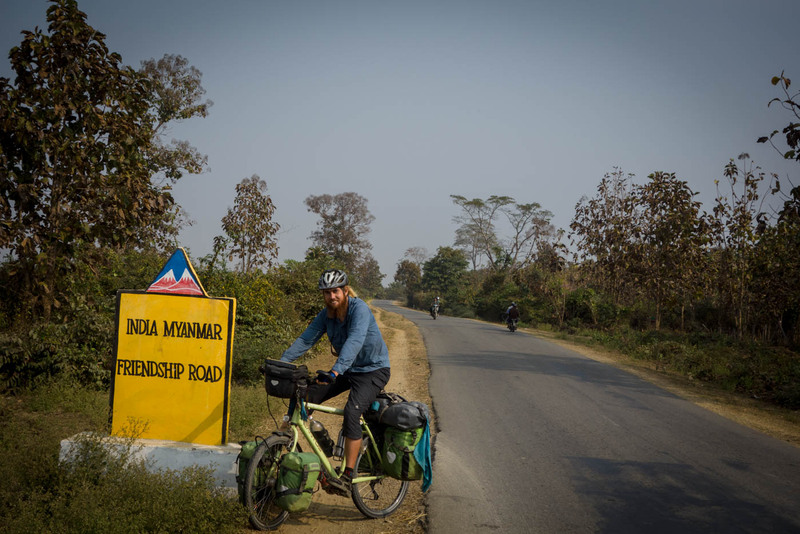 Would you like to cycle our route through Myanmar? To view all images of Myanmar push the button on the right!